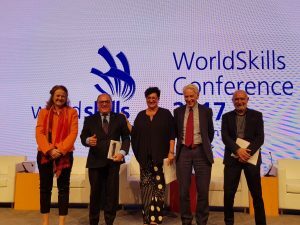 Held as part of the WorldSkills Abu Dhabi 2017, TKNIKA actively participated in the conference with a theme of ‘Skills and Careers without borders’. The discussions addressed the changing skills demands of the globalized world on the way people live, learn, and work and the required response. 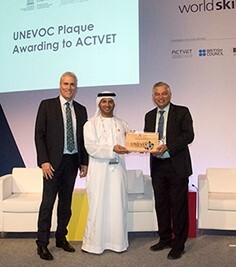 Different UNEVOC-Centres took part in the event and Mr. Shyamal Majumdar, head of UNESCO-UNEVOC, took part actively in the conference. The WorldSkills Competition is a flagship event of WorldSkills International, a member of the international skills coalition with UNESCO and UNESCO-UNEVOC as key partners, is the biggest vocational education and skills excellence event in the world duly reflective of the global industry. 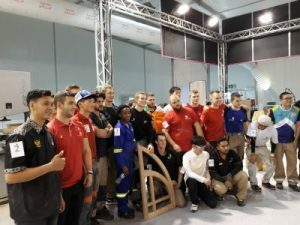 The competitors represent the best of their peers and were selected from skill competitions in WorldSkills member countries. They demonstrate technical abilities both individually and collectively to execute specific tasks for which they study and/or perform in their workplace.